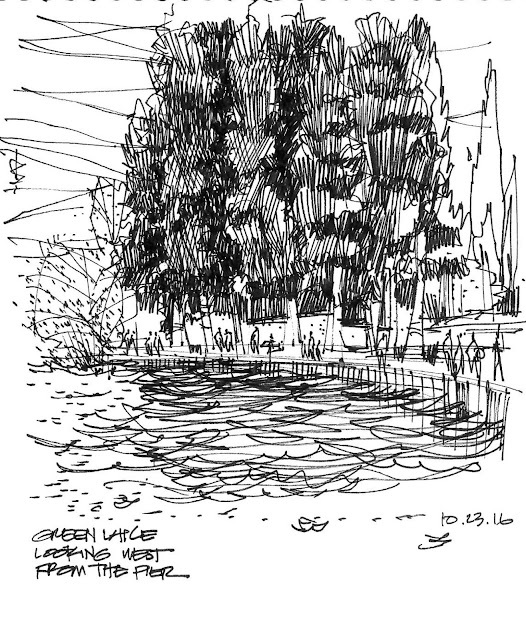 A couple of dozens urban sketchers descended upon Green Lake yesterday on a mild Sunday morning. The beautiful autumn colors in full bloom are truly a feast for the eyes. 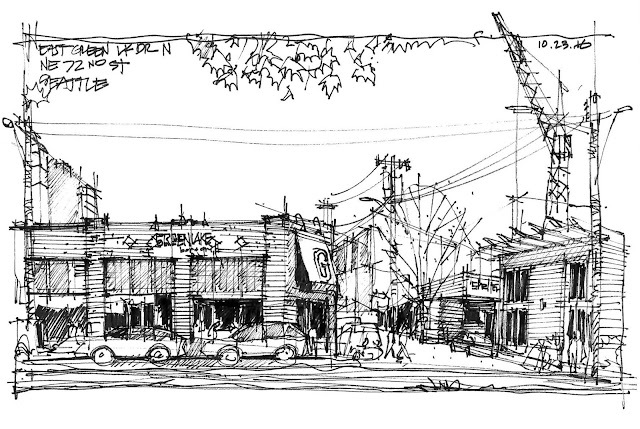 With a cup of mocha in hand, I sat at the corner of East Green Lake Dr and NE 72nd and sketched the lively scene. Rows of maple trees creates a nice one point perspective with Green Lake Arch framed nicely on the center. I sat on the pier across from the boathouse and quickly capture one corner of the park lined with trees and activated by joggers, bikers and strollers alike. Then, I did the unthinkable and pulled out my Windsor & Newton Sketchers Pocket Set that I haven't used since my graduate school years 14 years ago! I am never comfortable with watercolor and it is my goal to get over this by doing at least one watercolor sketch a month. We'll see where this goes. Andika,your black and white sketches are so very nice that I look forward to seeing how your water color develops. 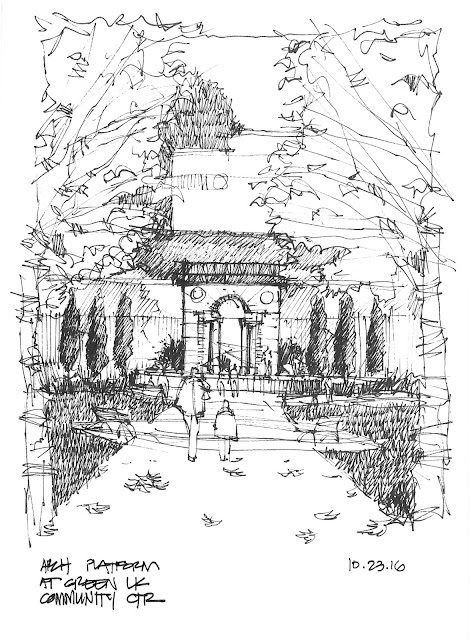 Great sketches, Andika. The water color turned out great! Keep 'em coming.